The mop up operation initiated in the city of Raqqa since the end of the liberation campaign of the city has been continuing unceasingly. Hundreds of mines and traps have been placed inside almost every building in the city, so the cleaning process is carried out with great care. Fighters show a great effort and abnegation even after the operation to ensure that the inhabitants of the city return safely. 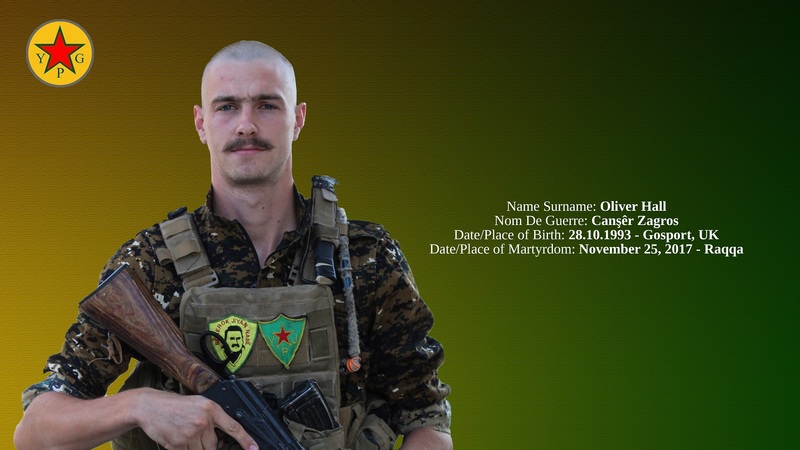 On November 25th, 2017, Canşêr Zagros (Oliver Hall), who was involved in mine clearance work, martyred as he was trying to defuse a booby-trap. Comrade Canşêr Zagros, who joined the ranks of People’s Defense Units from United Kingdom when the Raqqa Campaign was going on, actively took part in various fields of work. Like many other Internationalist comrades who made ultimate sacrifice during Raqqa Operation, Comrade Canşêr had been trying to fulfill his duties and responsibilities for months and had a great labor. As YPG and YPJ we once again commemorate Comrade Canşêr and all the Internationalist revolutionary martyrs. We’d like to extend our sympathy to our martyr’s family.